Tributes have been paid to the UK family killed in a seaplane crash near Sydney on New Year's Eve. 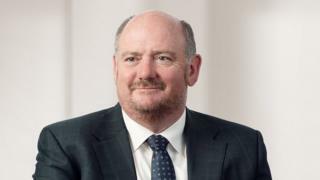 Colleagues of Richard Cousins, 58, chief executive of one of the world's largest catering companies, Compass Group, described his "great humanity". He died alongside his fiancée, magazine editor Emma Bowden, 48, her 11-year-old daughter Heather, and his sons, Edward, 23, and William, 25, a campaigner. Australian pilot Gareth Morgan, who also died, was known as "a gentle guy". All six died when the seaplane - which belonged to a firm running sightseeing tours - plunged into a river 30 miles (50km) north of Sydney. The family, from Tooting, in south-west London, were reportedly flying back to Sydney from an exclusive waterfront restaurant in Jerusalem Bay on New Year's Eve. The crash happened in Hawkesbury River, near the suburb of Cowan, at about 15:10 local time (04:10 GMT) on Sunday, police said. The cause is not yet known and investigators say it could be many months before they can piece together events. Richard Cousins had been chief executive of the FTSE 100 firm Compass Group in Surrey since 2006 - and had been due to retire in September. Compass chairman Paul Walsh said the firm was "deeply shocked and saddened". "It has been a great privilege to know Richard personally and to work with him for the last few years," he said. Mr Cousins, a huge cricket fan, was a regular visitor to the Kia Oval in Kennington. His son, William Cousins, was head of press for Open Britain, which campaigns against a hard Brexit. The group's chairman Roland Rudd said he was "an extraordinary young man who took deep pride in his work" and would be "missed beyond words". Labour MP Chuka Umunna described William as "an absolute pleasure to work with, utterly dedicated to the cause, dynamic and full of enthusiasm". "He went about things with great heart and humour," he added. Fellow Labour MP Chris Leslie tweeted that William was an "exceptionally talented head of press" who would be deeply missed. Arts editor Ms Bowden, who worked at OK! magazine for 15 years, was the "Grace Kelly" of the office, according to former editor-in-chief Lisa Byrne. She was regal, serene, well-educated and could stay calm under pressure, she said. Family friend Jan Gleeson said Ms Bowden was "a beautiful and positive person" who "spread light and happiness among her friends and family". Her daughter Heather, who was a great friend to Ms Gleeson's son, was "funny, lovely and always a pleasure to be with", she said. "Richard was a lovely, lovely man and together they were all finding the happiness she had so long deserved," she added. Edward Cousins had recently graduated from St Andrews University, where he was president of the university's Mixed Martial Arts Club. Friend Alex Brinkman said on Facebook that Ed's "sense of humour and bright personality" made training that much better, and he "embodied what it meant to be a martial artist". Image caption Pilot Gareth Morgan was described as "a gentle guy"
The single-engine aircraft belonged to sightseeing flight company Sydney Seaplanes, which offers scenic flights over local tourist attractions. Aaron Shaw, chief executive of the firm, described Mr Morgan, the pilot, as a "gentle guy". "Ringing his parents today was one of the worst calls I've had to make in my life," he said. He added that all flights had been suspended. The Australian Transport Safety Bureau (ATSB) said the sequence of events leading up to the accident was not yet understood. Eyewitnesses said the aircraft turned sharply to the right shortly after taking off. The plane then crashed into the river and sank rapidly, ATSB said. One eyewitness told a radio station he had watched from a houseboat as the plane nosedived. He said he had dived in and tried unsuccessfully to open the fuselage door because the plane was sinking so quickly. 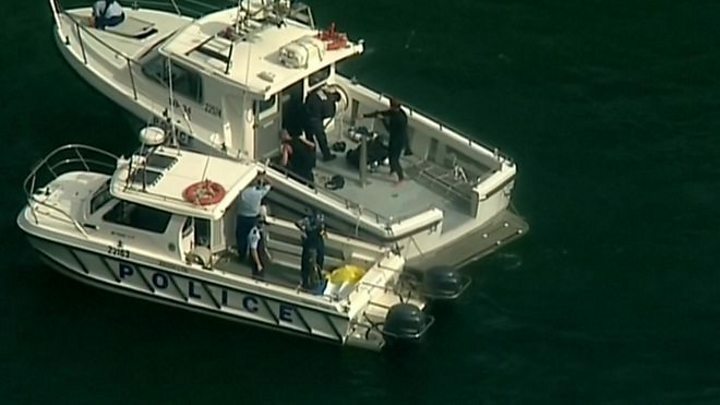 Police divers were flown to the scene and all six bodies were recovered on Sunday evening. The UK Foreign Office said consular officials were in contact with local authorities and staff were "ready to provide consular assistance".